The remains of a small monastery of Premonstratensian (white canons), picturesquely set above a bend in the River Tees near Barnard Castle. Remains include much of the 13th-century church and a range of living quarters, with traces of their ingenious toilet drainage system. 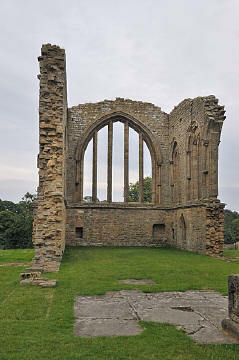 The Abbey was founded in the late 12th century at some point between 1168 and 1198. The founders were the Premonstratensians who wore a white habit and became known as the White Canons. They followed a code of austerity similar to that of Cistercian monks, unlike monks of other orders, they were exempt from the strict Episcopal discipline. They undertook preaching and pastoral work in the region, such as distributing meat and drink. They chose the site for the abbey because of its isolation, close proximity to a river and the supply of local stone for its construction. In common with many of the early monasteries, the original church at Egglestone Abbey was enlarged, and partly rebuilt, about one hundred years later, it is this later church that survives today. The abbey was always poor and at times had difficulty maintaining the required number of canons (twelve - from the twelve Apostles). Egglestone Abbey was to suffer at the hands of Scottish invaders and the rowdy English Army who were billeted there in 1346 on their way to the Battle of Neville's Cross. The Abbey was dissolved in 1540 by King Henry VIII, the lands were granted to Robert Strelly in 1548, who converted some of the buildings into a great private house that was abandoned in the mid-19th century. 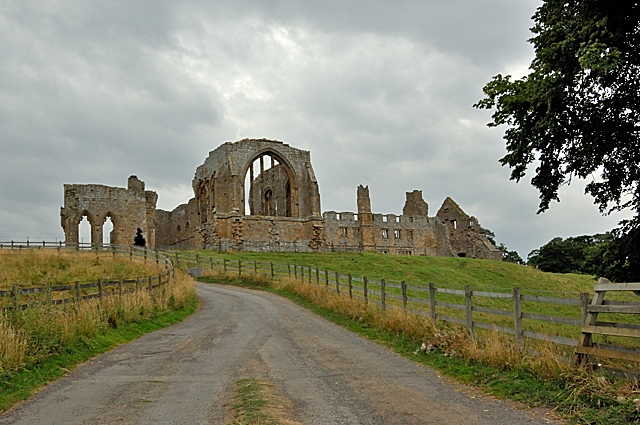 Eventually, much of the abbey was pulled down and some of the stonework was used to pave the stable yard at the nearby Rokeby Hall in the 19th century. Other Premonstratensian Abbeys include:- Titchfield Abbey, Hampshire, Shap Abbey in Cumbria and Easby Abbey in North Yorkshire. Other Relevant pages: Abbey Section, including all major Christian buildings, regions orders, normal layouts and history. Tripod, level, wide angle lens.